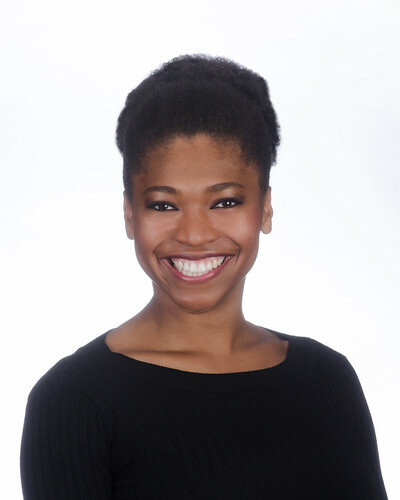 Hope Alexander, who currently portrays Tiana in Disney On Ice presents Treasure Trove. Disney on Ice returned to the Verizon Center on Wednesday, February 10, and will continue daily performances thru Monday, February 15th. The newest edition of the show brings you a “Treasure Trove” of all your favorite Disney characters, everyone from Cinderella toÂ Rapunzel, to Peter Pan, Simba, and the Mad Hatter. 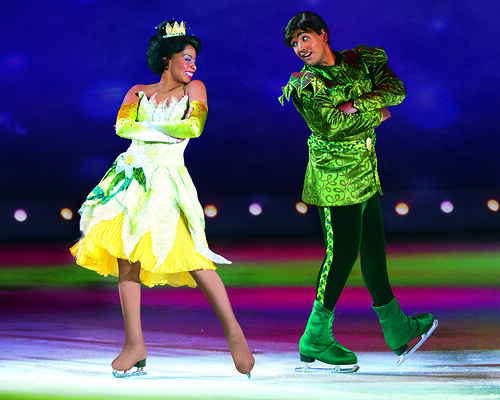 Shortly before arriving in DC forÂ Disney On Ice Presents Treasure Trove,Â we spoke with Hope Alexander, who brings Tiana to life in the new Feld Entertainment production. We discussed everything from snacks, to stuffed animals, and of course, buried treasure. When I auditioned, I knew that I wanted to be a part of something that impacted so many people. 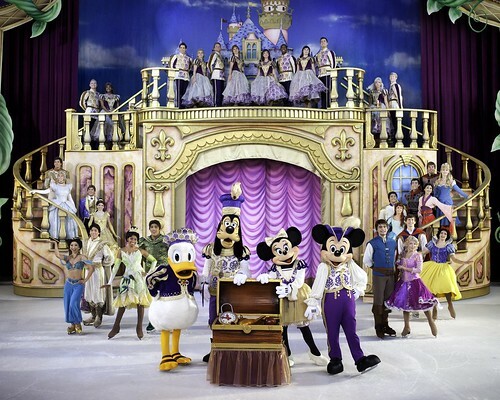 Pamela’s Punch: Share a brief background/education background and how you got involved with Disney on Ice? Hope Alexander: Iâ€™ve been skating for my whole life, for twenty five years at this point, and I competed between the ages of 7 and 16. I had to stop competing because of an injury. I went to college after that, and once I graduated from college, I still wanted to skate, so I decided to join a show. After doing a few smaller shows I decided I wanted to skate with Disney. I auditioned, and now here I am. PP: Why did you audition for Disney on Ice? What do you love most about being a part of these shows? HA: I thought it would be exciting to be a part of something that is such a huge brand, something that almost everyone knows. Â I knew it would be very exciting to perform and to bring these characters to life for the audience. I thought it would be something that was very meaningful and that would feel great every time I did it. PP: What is your earliest skating memory? HA: My first skating exhibition, when I was 4 or 5 years old. It was the first time I actually skated in front of an audience, and performed for people, and I remember being really nervous, and excited,Â but more nervous to actually be skating in front of so many people at such a young age. PP: Performing allows you to travel to country to country for work. Where is one place that you havenâ€™t traveled that you would love to go? HA: There are a lot of countries in Europe that I havenâ€™t been to yet that I would love to go to: Spain, and Italy. PP: I read that your travel tip is to pack light so that you can bring back cool souvenirs. What is the coolest souvenir youâ€™ve brought home? HA: One of my favorite things to bring home are food items, like chips and snacks from the different countries that I go to. I like my family to be able to experience them and see what Iâ€™ve been eating for the past month that Iâ€™ve been away. PP: I also read that you canâ€™t travel without your stuffed kangaroo.Â Tell us about this kangaroo. HA: One of my skating coaches gave it to me during my first qualifying regional competitions (a competition where you can move on to Nationals). It was my first time competing to go to Nationals and she gave me the kangaroo because around my rink, people used to say I jump really high. One of the coaches was from Australia and he said it must be kangaroo feet because my jumps were so big. So she gave me a kangaroo, and Iâ€™ve had it with me all these years now. It has a special place it my heart, so it travels with me everywhere. PP: Which Disney world do you want to most be a part of? HA: When I was little I always wanted to be a mermaid, and I would love to be a mermaid swimming around with Ariel. PP: Which Disney character do you most relate to? I would say Tiana, which is who I portray in the show. She works really hard to make her dreams come true. PP: If you were to find a treasure chest, what would you hope to find inside? HA: Unlimited trips anywhere I want to go. I love traveling so much, so being able to see places that I havenâ€™t yet been able to see would be at the top of my list. PP: What do you treasure most in life? HA: My family. They have been so supportive of me throughout my career, when I was first competing, being away at school, and now being a part of these shows. They have always been there for me and I really appreciate how much theyâ€™ve given up and how much theyâ€™ve sacrificed for me to be where I am today. Next Zeel Massage On Demand in D.C.